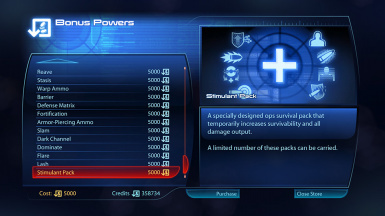 Permanently unlocks the Stimulant Pack power from the Citadel DLC as a true, usable bonus power for Shepard. UPDATE: Now available as a DLC-mod, no longer requires ME3Explorer to use! UPDATED 4/19/15: I have some fantastic news, folks... after a lot of work and research, the "Stimulant Pack - True Bonus Power" mod is now available as a DLC-Mod. :) This new DLC version also comes with a fix for obtaining the Khan's Network Exposed intel asset after completing the second Citadel DLC mission, "Silver Coast Casino: Infiltration" (special thanks and credit goes to modder Kinkojiro for developing this intel fix). 1. 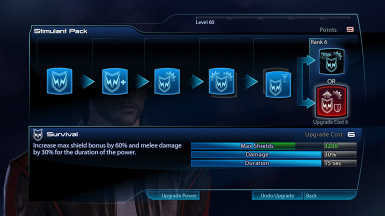 No need to fiddle with the in-game console to give yourself the power - Stimulant Pack needs to be unlocked only once as a permanent bonus power for Shepard! 2. No need to keep toying with the console to lock/unlock the power in order to get a new bonus power - Stimulant Pack functions exactly like every other bonus power in the game! 3. No need to constantly give yourself back the power with the console after loading a new map/level - Stimulant Pack is completely and 100% usable all the time! 4. How do I obtain Stimulant Pack as a bonus power? 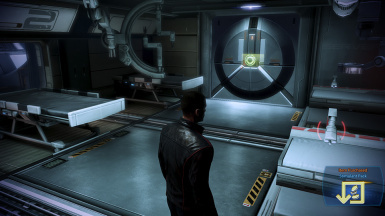 You need to complete the fourth Citadel DLC mission, "Citadel Docks: Retake the Normandy" - upon returning to Shepard's apartment, the power will unlock in the MedBay's terminal on the Normandy. If you've already completed the Retake the Normandy mission and left the apartment before you installed the mod, you need to return to the apartment for the power to unlock. 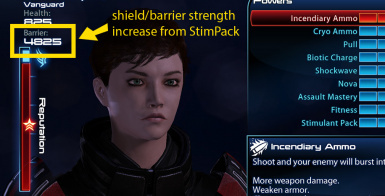 Once Stimulant Pack has been unlocked once, it becomes permanently unlocked in the player's Profile data, meaning all of the player's Shepard's have access to the power. 5. How do I obtain the Khan's Network Exposed intel asset? You need to complete the second Citadel DLC mission, "Silver Coast Casino: Infiltration" - after returning to Shepard's apartment after the mission, the intel will unlock in the Shadow Broker's Intel Terminal on the Normandy. 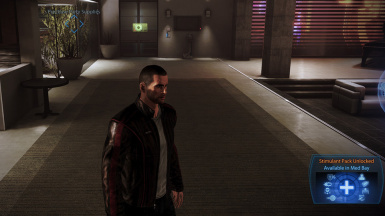 If you've already completed the Silver Coast Casino mission and left the apartment before you installed the mod, you need to return to the apartment for the intel to unlock. 6. Why does Stimulant Pack disappear from the MedBay terminal's power list after I purchase it? This is standard behavior for any bonus power that comes from a DLC (Leviathan/Omega/Citadel). My guess is the developers changed how bonus powers appear in the MedBay terminal starting with Leviathan (and honestly, it makes sense - if you buy the power once, there's no need for it to remain in the list since you already have it). If you purchase a different bonus power, though, then Stimulant Pack will reappear under the Terminal's power list.